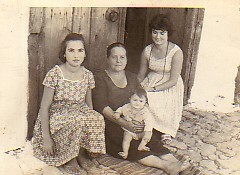 Above: With my mother, Efterpi, my sister, Angeliki, and the baby is Vasiliki Balala. I am on the right. 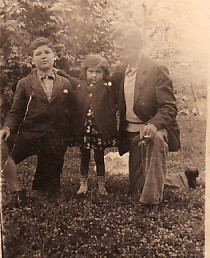 Above Right: My father, Spyridonas, during his National Service (1924). Above: With my father, Spyridonas, and my brother, Aristotellis. 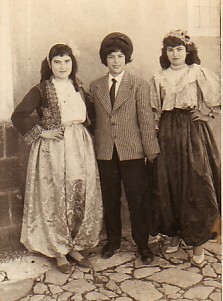 Above Right: With my cousin, Anthi Sklepari, and mys siter, Vasilia; we are dressed for the Apokries Carnavale. 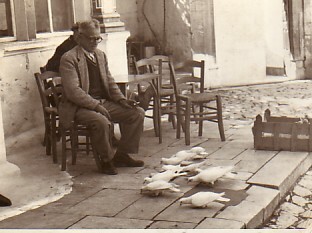 Above: My father, Spyridonas, at the kafeteria in our village. 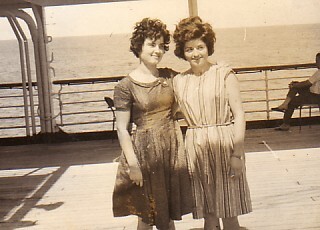 Above Right: Migrating to Australia (1963). I am on the left.